The University of Tennessee at Chattanooga women's soccer team reported to campus a couple of days ago, but didn't hit the pitch until Friday morning in preparation for the upcoming season. 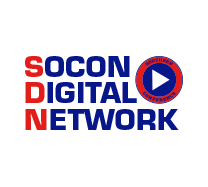 In the first episode of the 2016 season, the Voice of the Mocs Jim Reynolds and Assistant Coach Katie Burrows break down the Mocs' most recent SoCon road trip as well as their win against Western Carolina. This week's feature looks at Aryanna Gilbert's journey back to the court and what she learned along the way.